Rupert Murdoch’s News International may still have a long way to go in convincing the world that it can succeed by putting its newspaper websites behind a paywall, but that doesn’t mean that News International isn’t confident that it will eventually succeed with the paywall model. In a sign of its confidence, it is putting the website of the UK’s top-selling Sunday newspaper, News of the World, behind the News International paywall in October. As detailed by The Guardian, access to content on notw.co.uk will soon cost readers £1 per day, or £1.99 if a four-week subscription is purchased. In addition, News of the World will offer up an iPad version costing £1.19 per week. proposition.” Such a comment, however, might be called hyperbole by some given an analysis of News International’s results thus far with The Times and Sunday Times, both of which went behind a paywall earlier this year. But it’s far too early to declare News International’s paywall strategy a failure or success. This is a long-term strategy, and on paper, it may be a necessary one. Even if one is unsure about the viability of paywalls in general, it’s clear that for most newspapers, the free buffet isn’t working. Newspapers hoping that giving everything away for free will somehow become profitable might very well be called ‘delusional‘. 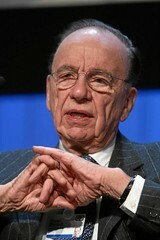 If there’s one person who can afford to risk everything with a new approach, it’s Rupert Murdoch. And that’s precisely what he’s doing. He might be insane, and he might be wrong, but somehow I suspect that the rest of the newspaper industry will thank him for his grand paywall experiment someday, win or lose. Photo credit: World Economic Forum via Flickr. This post is part of the #JUMPchallenge, a blogging competition designed to raise awareness of how to join up online and offline marketing, launched to support Econsultancy’s JUMP event. The post comes from Illiya Vjestica, and was originally posted on the Dog Digital blog. The whole post is worth checking out, but here is an extract showing how some UK brands are using multichannel. Are investors wising up about platform-specific startups? platform. And it’s no surprise that investors have flocked to back them. services offer different features at different prices.